John Fingland of Yukon wanted to know where he came from, and he's still coming to terms with what he found out. This story is part of CBC North's series Children of Survivors | Impact of residential schools. This week we're highlighting the stories of several children of residential school survivors and the effect intergenerational trauma has had on their lives. John Fingland says intergenerational trauma is different for everybody. "You know, the grandparents might have went to residential school, the children might have been people from the Sixties Scoop — and then their children are the result of either alcoholism or violence or some kind of social problems," he said. "So it's a continuation of trauma throughout the family, that takes generations to actually fix." Fingland was born in Whitehorse and adopted as an infant into a family in Ottawa. He grew up not knowing who his birth parents were, or whether he had any biological brothers or sisters. "It's one of those things that when you are adopted, it's always in the back of your mind," he said. "I kept wondering what this wonderful family must've been like, and it always sort of sits in the back of your mind — why someone would abandon you as a baby?" Fingland, now 52, doesn't want to mention his mother's name or publicly identify his birth family. But he's ready to share his story of intergenerational trauma. Fingland's decision, in 2005, to try to find out who his birth mother was, led to one of the hardest days of his life. He had moved back to Yukon years earlier with his adoptive family and was then working for the Champagne and Aishihik First Nations. Staff there helped him start digging into the mystery of his birth and adoption. They contacted the Yukon government and eventually Fingland got some answers. "I remember the day I was working, and it was lunch time and I got this package," he recalls. "But I also remember that there was a letter that was actually written the day that I was born, and it was just about my birth and everything like that." The letter included notes, handwritten by a nurse at the time, describing how Fingland's mother rejected him. 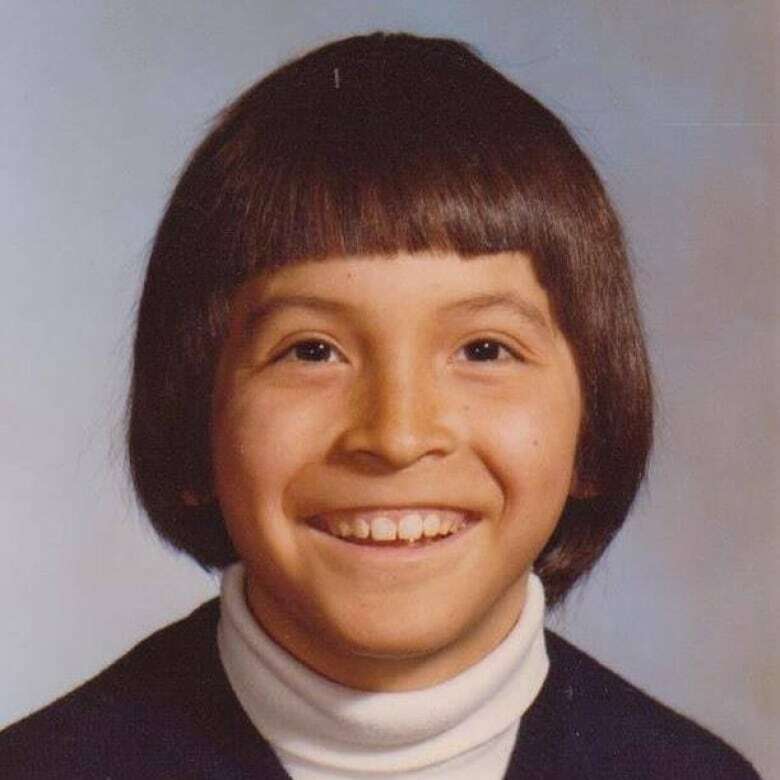 "Nurses had tried to get my birth mother to hold me, and they tried to get my birth mother to feed me, and they tried to get my birth mother to name me, and ... she refused," he said. One thing in particular hit him hard. "They kept referring to me as 'it' — like the note said, 'she refused to feed it, and she refused to name it, and she refused to hold it, despite our efforts,'" he said. "It affected me greatly that day ... I remember I was unable to continue working that day, or the next day." He still has trouble understanding his mother's actions, in refusing him at birth. "The strongest link on this planet, no matter what animal it is, is between the mother and the child," he said. Fingland believes he may be the product of an extramarital affair, and that his birth mother's husband refused to accept him into the family. His biological older brother — who wishes to remain anonymous so his mother won't be identified— was a young child at the time, and has faint memories of his younger brother. He remembers noticing one day that baby John wasn't with his mother anymore. "I just asked, 'where did that kid go?' … and she said she took him back to the 'baby store.'" 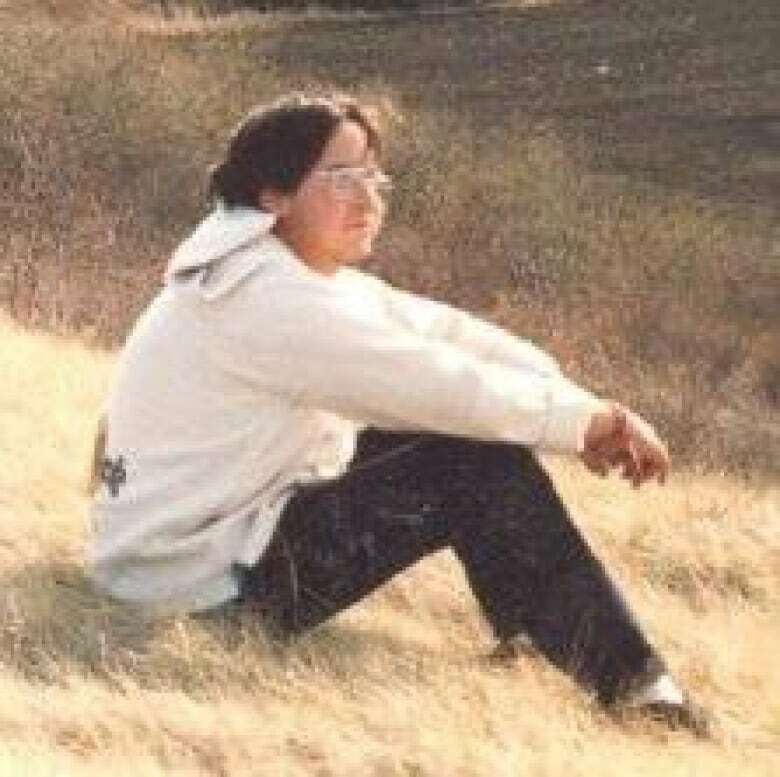 Fingland, then just a few months old, became part of the Sixties Scoop — when federal child welfare authorities placed Indigenous children in foster homes, and adopted them out to non-Indigenous families across Canada and the U.S.
Today, he has mixed feelings about what happened to him. He says as hard as it is knowing that he was abandoned by his birth family, he also recognizes that First Nations kids in the 1960s often grew up in difficult situations. His childhood, with loving, middle-class adoptive parents, was different. "To land in a wonderful suburban house in Ottawa, where everything was really enjoyable as a child... I went through the usual sort of scrapes and bruises of being a kid, but all I knew was that I got everything I wanted," Fingland said. "I never, ever knew what it was like to worry about food, so on that side of the experience, it was just super-happiness," he said. Like so many other residential school students, Fingland's birth mother learned a harsh discipline when she was young that she then applied to her own family. According to Fingland's brother, she would often be punished in front of the other children at school, and made an example of. Fingland's biological siblings grew up in Whitehorse during the 1960s and 70s. The family lived in Sleepy Hollow, a collection of squatters' shacks around the edge of downtown Whitehorse. Fingland's brother, who he is now close with, says growing up in Whitehorse was sometimes tough. He said their father was often out of town working for the Yukon government, or with his mother, drinking and hanging out at the local bingo hall most of the day and late into the night. The children would often have to fend for themselves, and cook whatever was left in the fridge. Fingland's brother believes that his mother's lack of patience and forgiveness was learned at mission school, where students "didn't have their mom's love anymore." He says the other thing mission schools were successful at was assimilation. "Our parents refused, refused, refused with a capital 'R,' to share their culture and their language with us," he recalls. "That's definitely one of the effects that really worked from the school." He says despite his sometimes tough upbringing, he did eventually find forgiveness toward his mother. Fingland says he really didn't understand why, for most of his adult life, it was important for him to be liked by everybody. He always had a hard time with breakups and he didn't understand why it would take so long to recover from a broken relationship. He now knows it was because of abandonment. "It really weighs on you to say, 'why would some mother have abandoned me, to not raise me?' Who would I have as brothers and sisters, and what would that life [have] been like?" Fingland says he has now come to terms with his adoption. "I did find out about the reality of Native people in the Yukon in the 1970s — it was a very harsh environment for native people here," Fingland said. 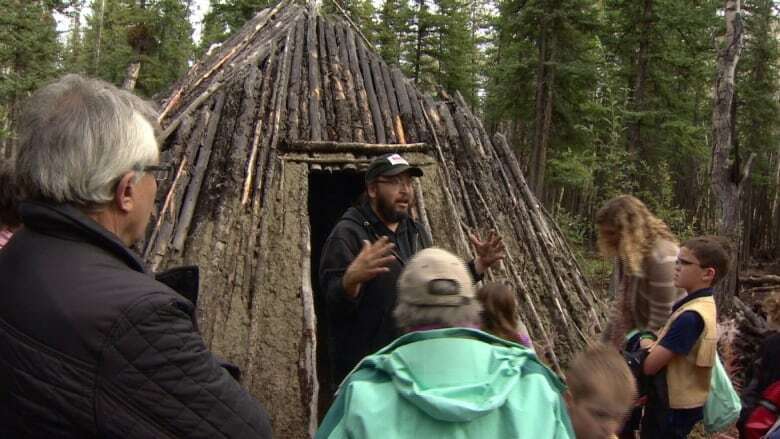 "There is an undercurrent in Canadian thinking that back then, the Native people were from sort of an outdated society that didn't really have a lot of value in the 20th century," he said. Fingland says his birth mother refused to have any contact with him, right up until her death last year. "For years we saw each other regularly, and we would pass each other and just never speak," he recalls. Fingland did not attend her funeral because he felt she had not wanted him in her life. "So I felt that it would be disrespectful to her for me to show up at her funeral," he said. "Typically, in Yukon First Nations funerals, they have a potlatch pamphlet which shows the family tree — and they did not want me to be included as one of her children. I took that as a sign that I should probably not attend," he recalls. Today, Fingland is an interpreter for Da Ku Cultural Centre in Haines Junction, sharing traditional stories of the Southern Tutchone people from long ago. He has lived with the trauma of abandonment and rejection — but says he's managed to find peace and happiness. "I think that people also have to hear that not every story was filled with trauma and sadness ... mine was a story of a good fortune, and a lot of happiness and a good outcome, because I was able to come back here and contribute to this community by being their historian," he said. He says he may not be close with his biological family, but he has lots of distant cousins and aunts, and a brother, who love him and want him in their lives and families. "I think there was a long time, maybe in the '70s and '80s, where there was a feeling of shame, where there is a feeling of guilt associated with the things that happen to people," he said. "But because everyone's opening up now, I think people are all ready to say, 'you know, this wasn't my fault. These are things that I had no control over, and I'm gonna tell you what happened to me.'" CBC North is hosting a panel discussion on this topic on Nov. 8 in Whitehorse at the Kwanlin Dun Cultural Centre at 7 p.m. It is open to the public and will be streamed live on CBC Yukon's Facebook page. If you need support, call the Yukon Distress and Support Line at 1-844-533-3030 or the Inuit and First Nations Hope and Wellness Helpline at 1-855-242-3310.